Milk kefir is a magical substance. 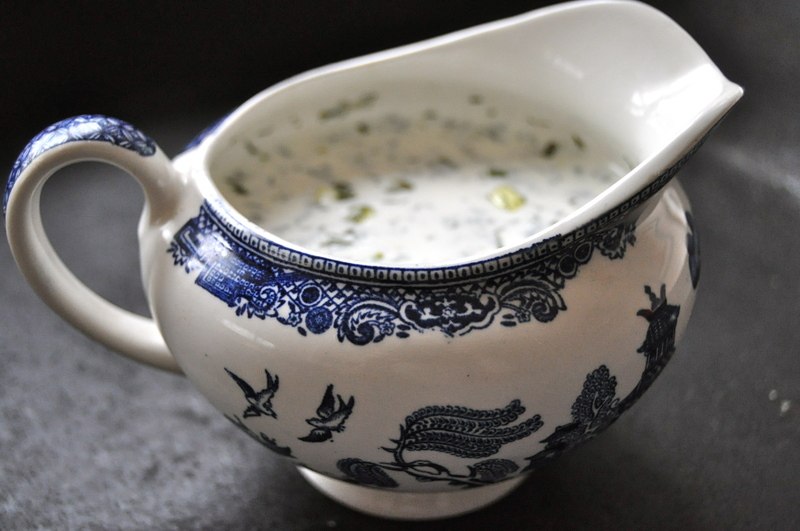 It has a long, established history and is still commonly consumed in Eastern Europe. Kefir originated among the nomadic shepards in the North Caucasus Mountains (Russia) many centuries ago (exact date unknown). There is a legend that Mohammed shared some of his grains with the Orthodox Christians who guarded the grains as they believed in their magical powers. Eventually the grains travelled with their owners and were shared throughout the world. You cannot create the grains, they need to come for a parent source which I think is a pretty cool thing. Historically, kefir was used in Russian hospitals to treat many different ailments and diseases and in that part of the world is still used as a medicinal food. I urge you to give it a try and experience some of this magic yourself. Over the past few years I have been making major changes in my diet and lifestyle to improve my health. The one change in my diet which I have attributed the most benefit to is regularly consuming fermented foods, such as kefir. I read about the benefits of the grains online and continued to do research before obtaining my own. Since making kefir a regular part of my diet I have noticed increased energy, disappearance of skin issues, better sleep patterns, improved digestion and improved mood. I am not the only one. My neighbour had contacted me asking for some advice on digestive issues she and her grandson were experiencing. I shared some of my grains with her and she began making the milk. She has since shared with me that the grains have made a huge difference to the health of both her and her grandson. If you try adding kefir to your diet, comment below and let me know the changes you see. If you are lactose intolerant you can likely enjoy kefir. Most of the lactose is “eaten” by the grains, becoming beneficial for us to consume. Kefir can actually heal lactose intolerance due to it’s high levels of probiotics. Kefir not only contains high levels, but also numerous beneficial strains of probiotics. If you are buying commercial probiotic pills, save your money and make your own! Once finished fermenting, kefir contains probiotics, yeast, enzymes, sugar, calcium, proteins, phosphorous, minerals, and vitamins. 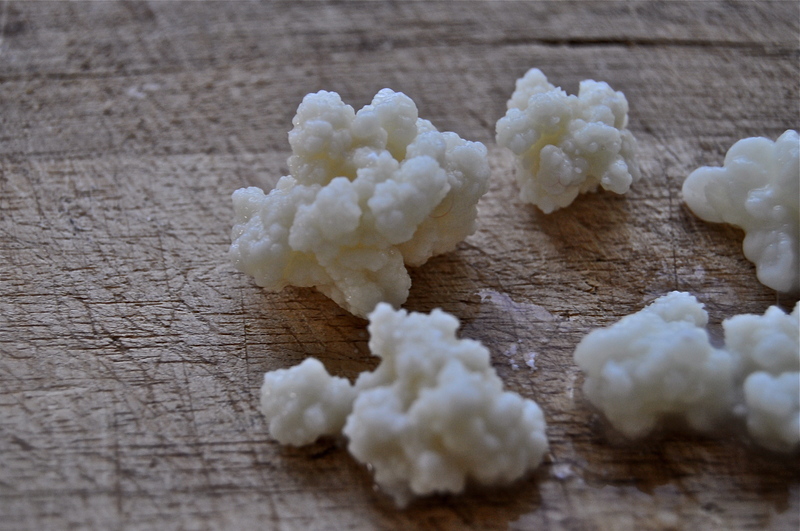 You can read a great article about the benefits of kefir and how it is superior to yogurt here. Mix all ingredients. Refrigerate overnight or let stand at room temperature for a few hours to allow flavours to blend. Taste and adjust the levels of the herbs to suit your tastebuds. This entry was posted in salad, snack, vegetarian and tagged easy, food, fresh, healthy, kefir, probiotic, ranch, recipe, salad dressing. Bookmark the permalink. 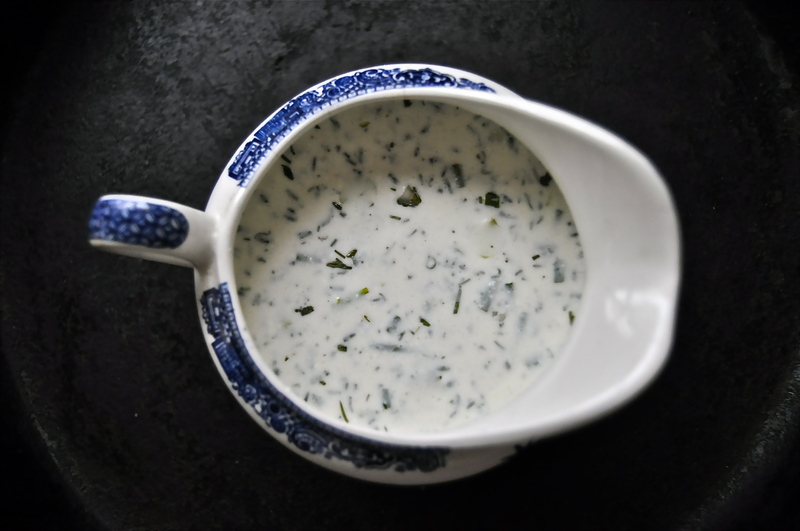 maybe i’ll thicken the kefir with chia seeds 🙂 This is great, have been wanting to make a ranch-type dressing and have been turned off by the suggestion to add mayo….